These are the typical questions people love to ask on Google; Why isn't Play Store downloading anything? Why can't I download apps from the Google Play store? How to fix google play store not working? Why Play store is showing download pending? Why play store showing "Can't install App"? Why are my apps not downloading Android? Fixing Google Play Store Error Code 971? How do I install Google Play Store app? How do I fix Google Play store error? Why does my Google Play store say download pending? Why does my Google Play store keep stopping? and so on. A lot of people facing this problem of play store downloading not working and they keep digging solutions for this. But there are actually some reasons behind why such error is there in your play store app itself. Some users mailed me that their android apps downloading but not installing whereas some of the Android users are also encountered the Google Play Store downloading issue after Oreo update on Samsung, RedMi, LG, and Motorola brands. Some got stuck at download pending in play store; all these issues shows the problem with google play services and the Android OS algorithm. Do try the below-mentioned solutions and solve the Play Store downloading problem that you are facing on your Android phone. Sometimes if your play store app does not find the correct time, then it may cause such issues. I know it looks silly, but this could be one of the possibilities of triggering this issue. This could be another issue where you play store app struggle to find a network and as a result of this your play store stuck on downloading. Most of the time, we keep installing or updating apps from the Play Store app and it usually stores some data/cache in the memory. Not clearing such stored data may lead to this issue. It could be the case that, your Play store app is not up-to-date. Anyways, in this article, I'm going to explain the quick solutions for the most possible reasons that cause this error that the Play Store won't open, load, or download apps. 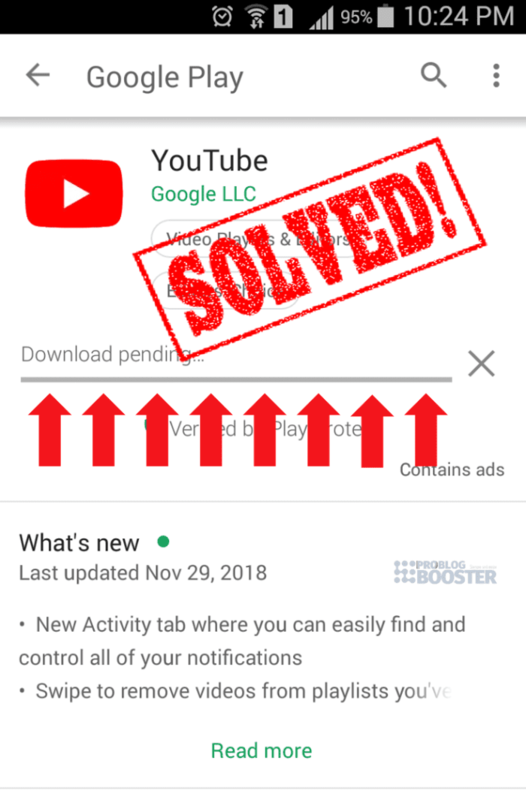 I've listed a couple of steps below which will help you fix this issue where you have faced a problem with google play services or your download pending in play store etc. Step 1: Clear Data and Cache of Google play store. Open up Google playstore option. Step 2: Clear Data and Cache of Google Play Services. Open up Google Play Services option. Force stop the app as well. Step 3: Install Latest version of Google Play Services. Tap on Menu option (3 horizontal lines at top-left corner). Now check whether Auto update apps is set as Over WiFi only. Now search for Google Play services. Try installing this and you are good to go once it gets done. Step 4: Reset your Google account. Navigate to Accounts > Googleoption. Tap on your email id. Now Remove your account from device. Again navigate to Account > Google option. Tap Add account and follow on-screen steps to set up your account again. Step 5: Uninstall Play Store Updates. Open up Google Play store option. Tap on Uninstall Updates option. Step 6: Enable download manager. Open up Downloads or Download Manager option. Try installing or downloading apps now. Step 7: Factory reset your smartphone.